Hi friends… I’ve been under the weather this week (ugh — who has time for that??) so I’m behind on my front porch progress, of course. But I’ve done enough that I thought I’d share a peek at it today after all. We’ve had sunny warm weather so at least it’s been pleasant while I’m out there, even if it doesn’t feel particularly fall-like. I think the kiddos will be trick or treating in shorts this weekend! 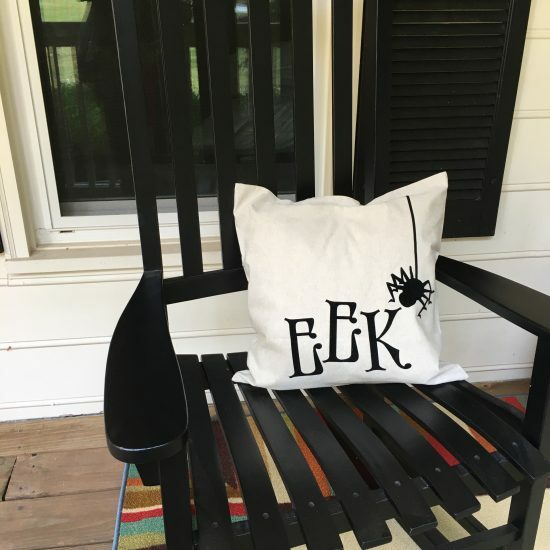 One of my favorite new additions is this “eek” pillow on one of my rockers! I ordered it from Jane.com (do you shop there??) from a little shop called Crazy 4 Embroidery. I was so pleasantly surprised when it arrived and the design is done in black velveteen! 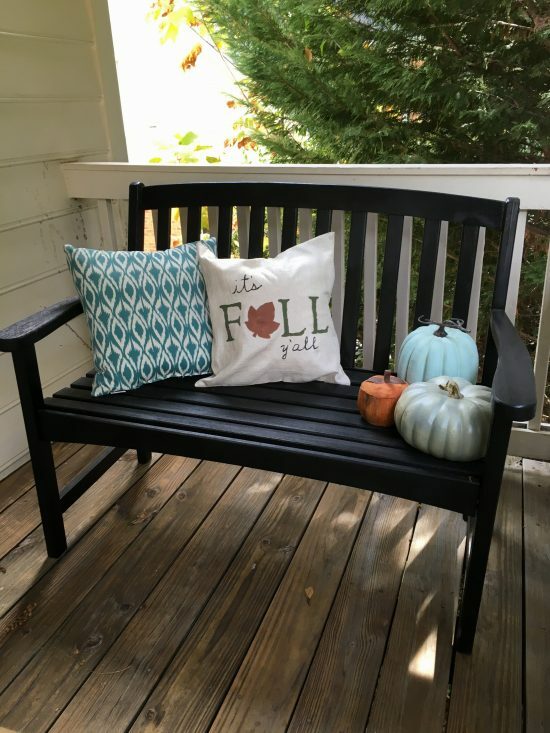 I wasn’t too concerned when I ordered it, as I knew it was for the front porch, but it’s a great quality pillow for the price. You can get yours here. I’ve got Fall Fun Day at Legacy today — complete with pumpkin patch and a petting zoo! Sure to be a busy and wonderful day. Hope you’re doing something fun today as well! 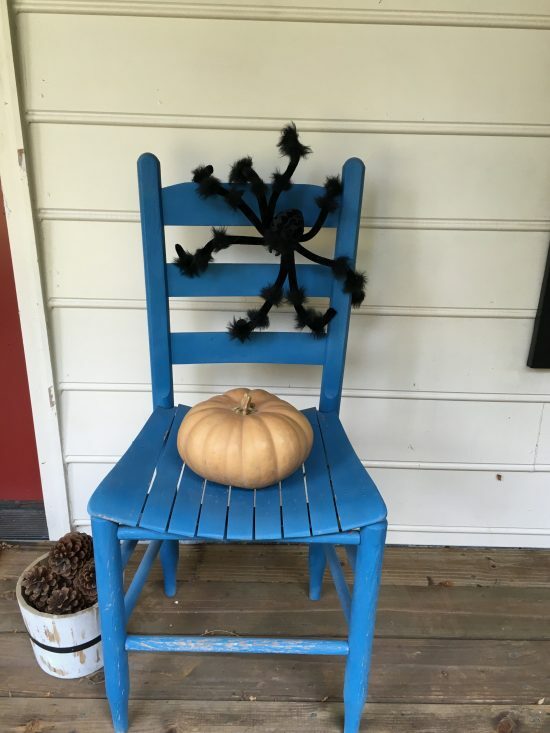 Oh feel better soon Heidi!…..You have a beautiful welcoming porch!!! Hello Heidi, I must say your porch is too much beautiful. I always feel better and peaceful when I sit in my home porch. Thanks for sharing.